Forget what you've heard, color blocking (the use of blocks of color — usually bold or bright) applies to more than just fashion. This colorful trend — influenced, in part, by Dutch artist Piet Mondrian — is a hit in the world of interior design, too. And it's not hard to see why. Besides being a great excuse to experiment with complementary color combos, it also shows off your fun, playful personality and tbh it just looks pretty darn cool. 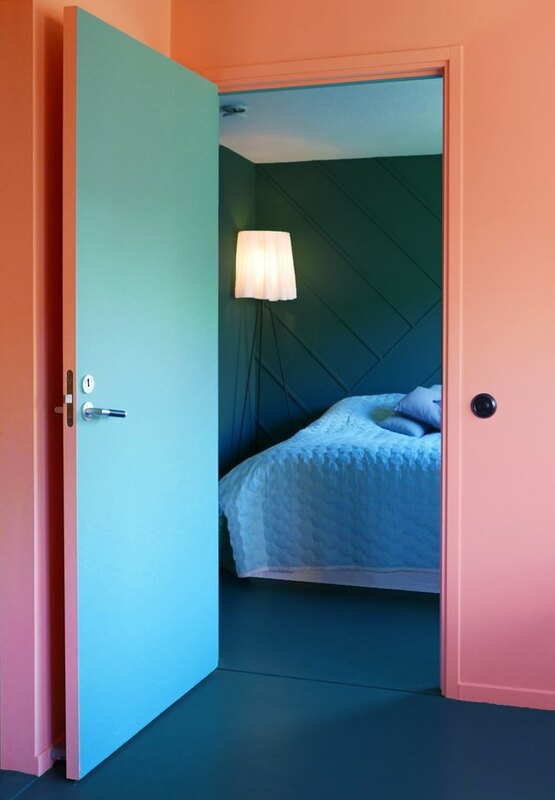 Here are 14 color-blocked rooms that will convince you to throw a painting party ASAP. 1. 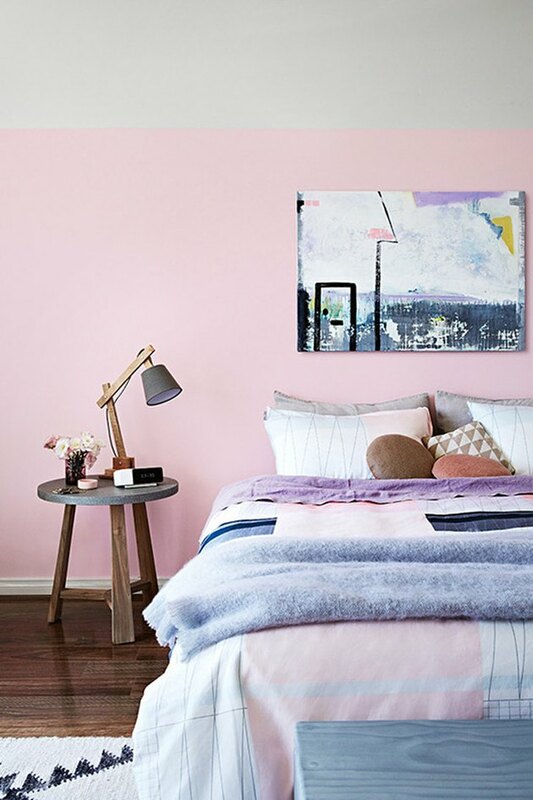 Create a candy-pink escape. Every morning would be a good one working in this bright home office designed by Nancy Riesco. 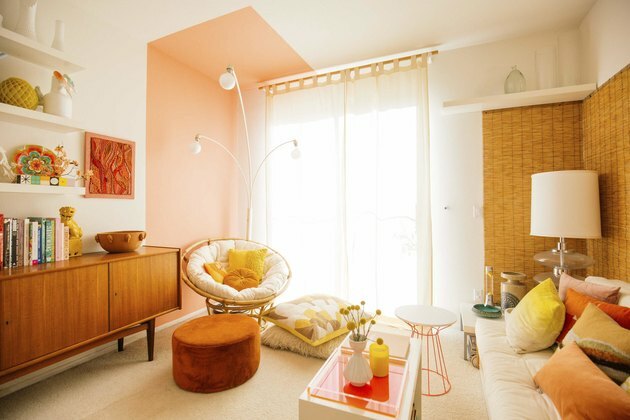 Otherwise-white walls keep the hot pink and pops of yellow from becoming loud and overwhelming. 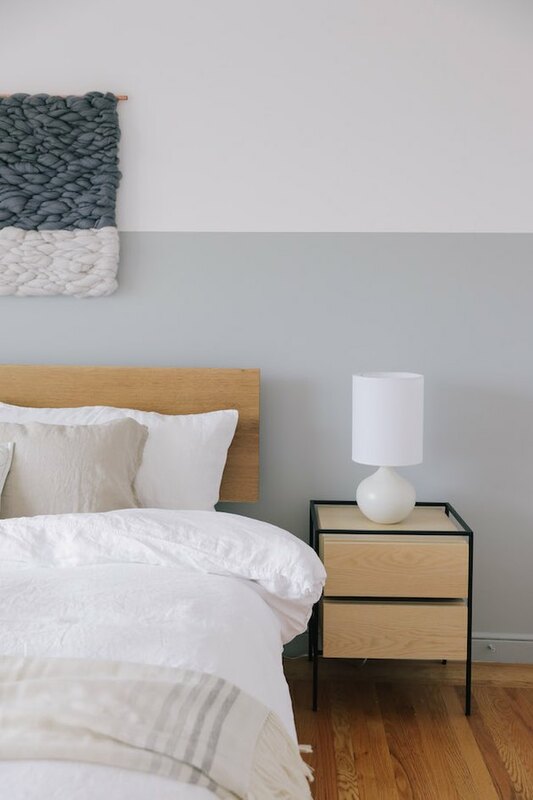 Need to keep two halves of a bedroom visually separated while keeping the space cohesive? 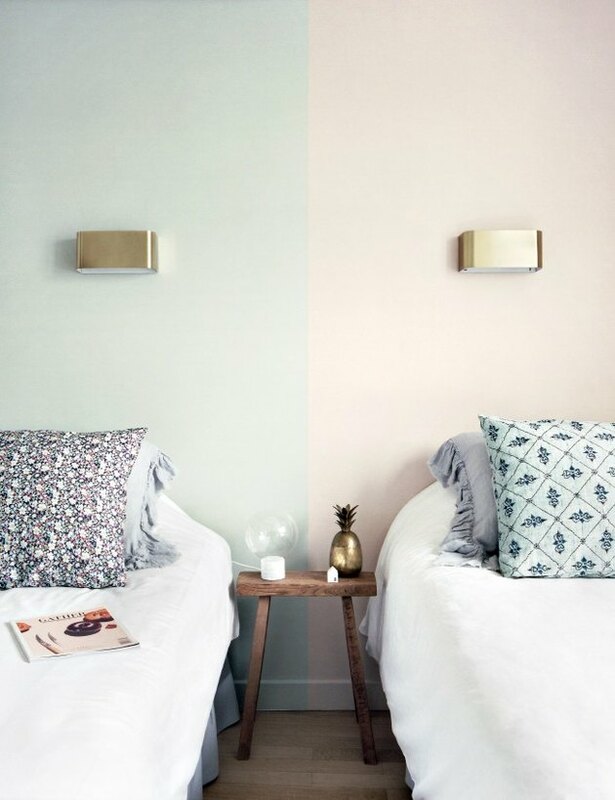 The Parisian Hôtel Henriette, as featured on Avenue Lifestyle, found the perfect pastel solution: pale mint and peach paints that are just different enough. 3. 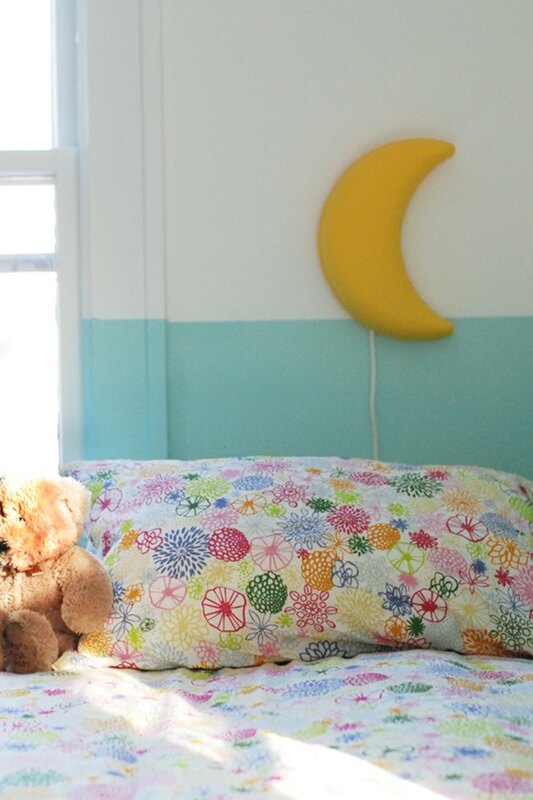 Add color to a kid's space. Kids can be fickle creatures, but let's be honest: adults can be, too. Luckily, color blocking is made for either situation. In this case, Nicole from Deuce Cities Henhouse was the one who wanted a change in her daughter's bedroom, which was originally painted all teal. So she decided to paint half of the walls white for a fresh new look. 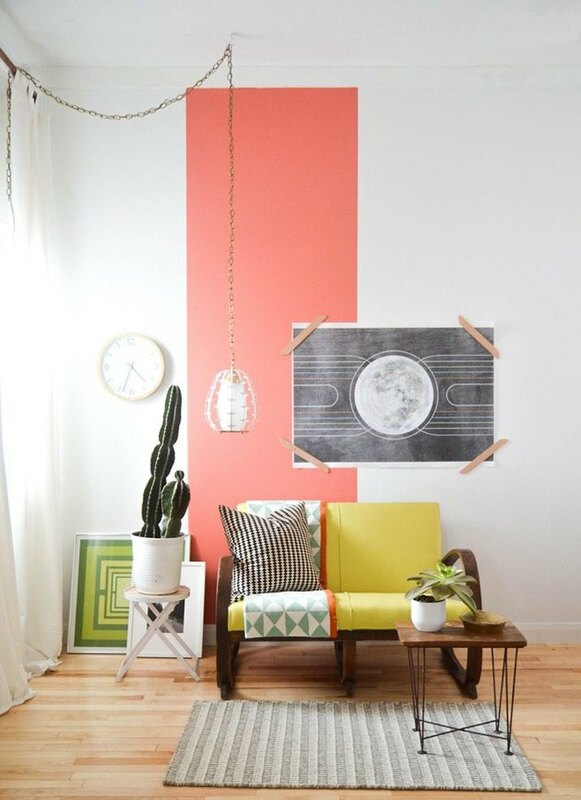 Want to try out color blocking without sacrificing a whole wall? 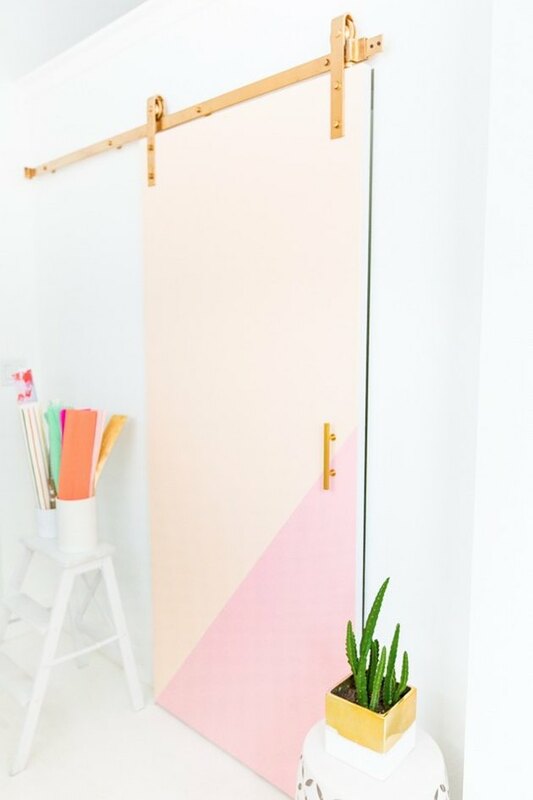 This easy DIY from Ashley over at Sugar & Cloth combines pink and peach to turn a plain sliding barn door into a work of art. 5. Keep things down to earth. Color blocking is often associated with bright, bold neon colors. But white walls and a subdued color palette — including mint green and pale yellow — create a down-to-earth space that you can lounge in for hours. 6. Match with your decor. It's one thing to color block your walls — it's another to accessorize appropriately. Make your room feel complete by including avant-garde patterns and chic decor that incorporates the same playful shades. 7. Coordinate with your plants. There's nothing like a deep, dramatic swipe of hunter green to create a modern space. 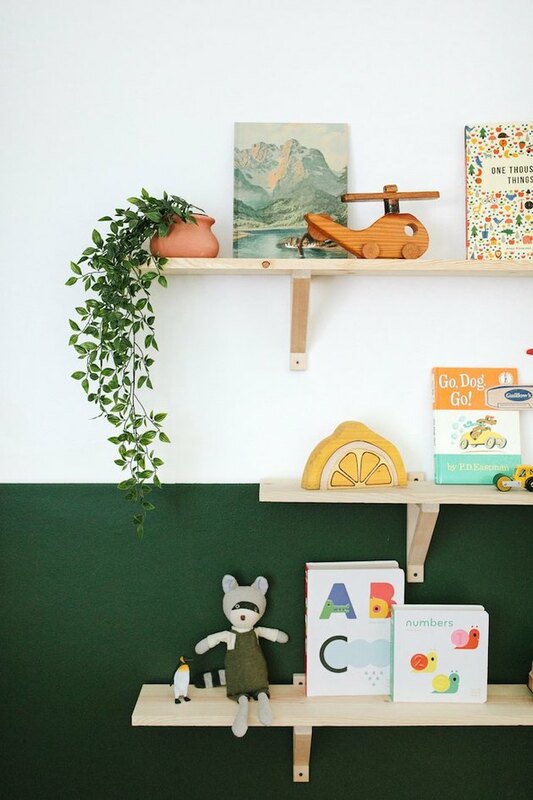 Integrate trailing plants, like photographer Paige Jones did in her little boy's bedroom. 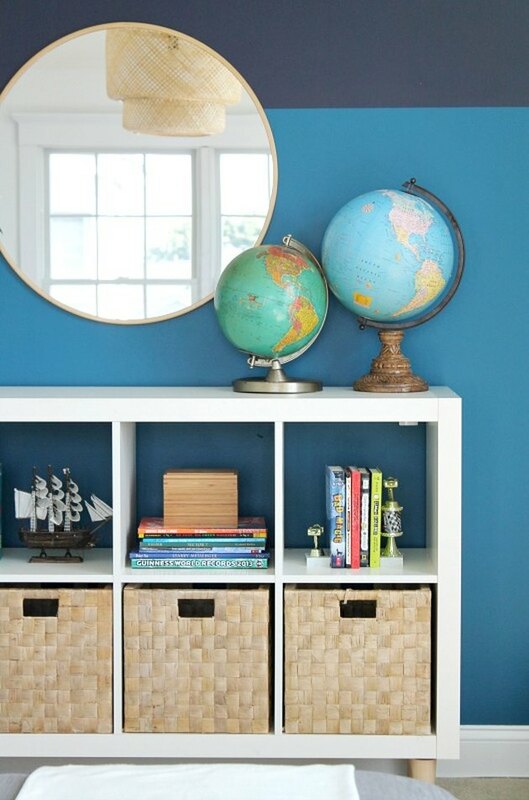 Jen from the blog City Farmhouse chose to pair a dark blue hue with a brighter blue in her playroom. The dramatic two-tone effect adds visual interest without being too busy. Have a sea of white walls? 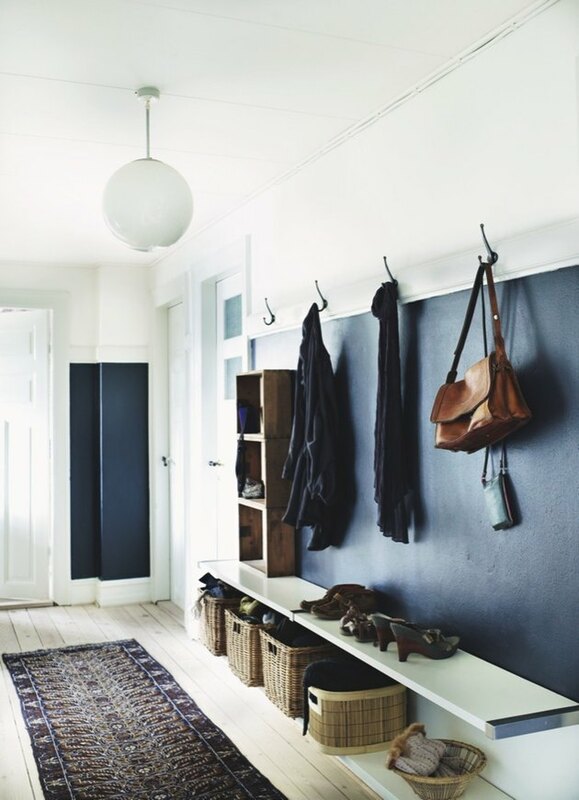 Color blocking is the perfect answer, as seen in this Danish home that uses dark blue to break up its mudroom. 10. Look to the sea. This lovely bedroom in a San Francisco bungalow designed by Erin Hiemstra from Apartment 34 took its inspiration from the sea. The soft gray shade on the bottom half of the walls really adds to the overall tranquil vibe of the room, while it also tricks the eye, making it seem like the ceiling is higher than it actually is. Why stop at the walls? Continue the fun onto the ceiling like Jonathan Lo from Happy Mundane did in his colorful living room. Painting this corner of the wall and ceiling adds visual interest and helps to divide the space. Color blocking isn't limited to one room. By selecting different shades for adjoining rooms, you can still enjoy the trend while having cohesive, one-color spaces. And don't forget to paint the doors! 13. Tell your color story with furniture. You don't need to bust out the paint rollers to get the color block effect. 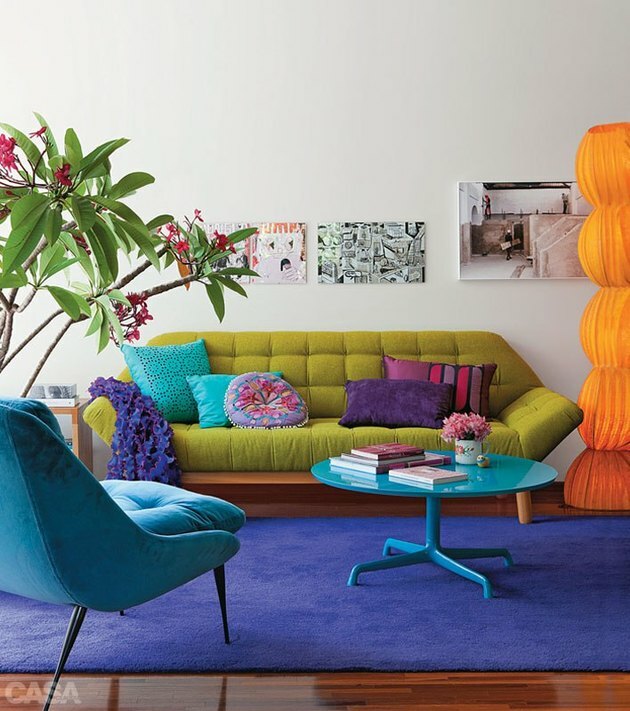 Vibrant furniture — like in this Brazilian living room designed by Adriana Yazbek — offers a similar feeling. 14. Highlight a small part of the wall. Creative color blocking can really define a space. By painting a vertical stripe on the wall, Mandi from Vintage Revivals really highlighted this seating area, making the perfect little reading nook.